According to numerous reports, there are about 3 million people who are wheelchair bound; they are confined to wheelchairs due to birth defects, car accidents, and skiing accidents, and many others were disabled during the recent wars in Iraq and Afghanistan. People who are destined to spend the rest of their lives confined to a wheelchair will always need assistance when it comes to traversing sets of stairs, be they in a residence, office building or outdoors. By federal law, small to mid-sized business cannot discriminate against wheel chair bound job applicants and employers are required to make reasonable accommodation(s) for their disabled employees. An ideal solution to this problem is the Indy Platform Stair Lift, a wheelchair stair climber. 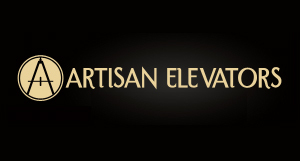 This particular wheel chair stair lift has a weight capacity of 500 pounds, it travels a maximum of forty and it moves at a speed of fourteen feet per minute. The specs of this platform are 25″ x 36″. It has a convenient manual fold, auto folding ramps for entry and exit, and a radio frequency with a wireless key fob. The safety features include but are not limited to an over speed governor, upper and lower landing limits, ramp obstruction sensors, an under platform safety pan, drive chassis obstruction sensors, and a non-skid surface. By installing this type of stair lift in a home or office, it will give the disabled person the ability to move from one floor to another in safe and secure manner. With a weight capacity of 500 pounds, this lift could also be used to transport a person, who might be on crutches, or an elderly person with bad legs or even a temporarily infirm person. 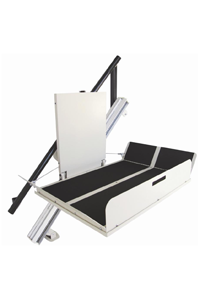 A platform stair lift is the ideal solution to a number of problems regarding disabled family members or co-workers.